Meme: Desktop - To grrr, or not to grrr? That is the question. Why did you choose this one? 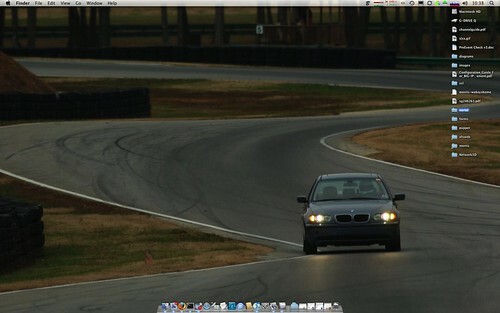 It's a photo from one of my track events in my car at VIR (Virginia International Raceway). I put it up when I found out one of the contractors actually works there as a corner worker and races his bike there frequently. It's been stuck there for awhile now. This was a professional who took photos of all the cars. I'm guessing this was right near the bridge close to the ground I think.